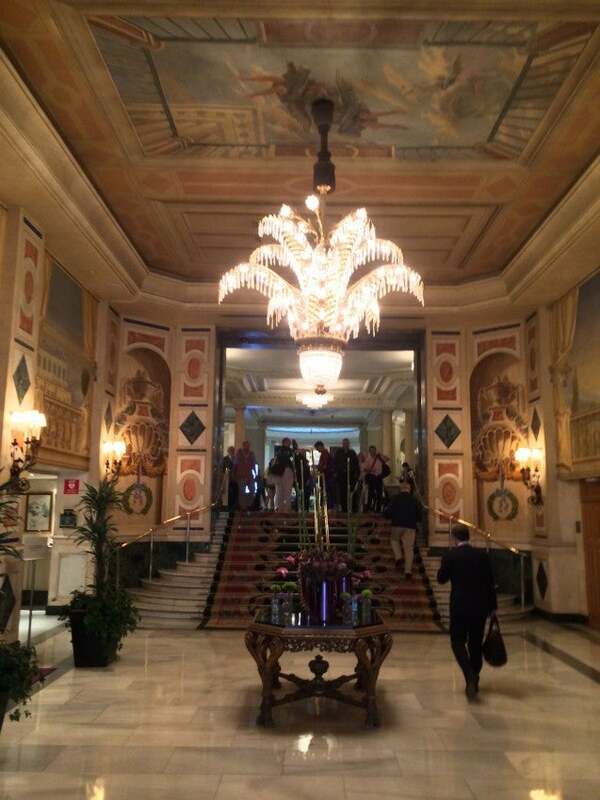 I’ve reviewed the Westin Palace Madrid before – and I try to stay there when I visit the city because it’s one of my favorite Starwood properties and the historic building was originally commissioned by Alfonso XIII in 1912 – so I’ll keep this one short. 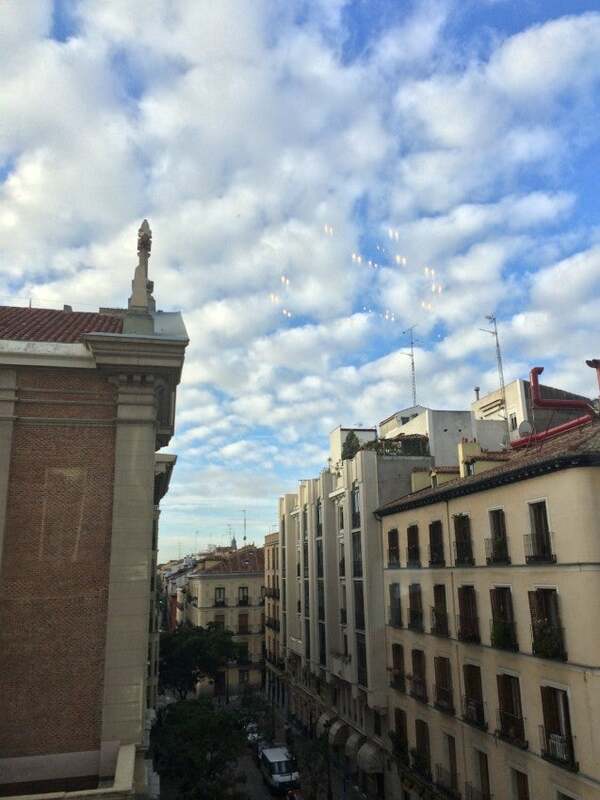 I recently flew to Madrid to surprise my friend for her birthday, and I was able to snag a reservation for myself at the Westin Palace using 16,000 Starpoints per night. I usually redeem Cash & Points awards for this hotel because rates tend to be high and that ends up being a good value at 6,000 points + $110, but in this case, rooms were going for 300 euros a night ($400), so I was getting well over 2 cents per point in value. Not only that, but since I’m a Starwood Platinum elite, I have 10 suite night awards to use each year and I’ve still got several left, so I decided to use some on this stay. I would normally get a room upgrade based on availability because of my elite status, but I didn’t want to take any chances and I wanted the extra space, so I redeemed 3 of mine for the 3 nights I was at the hotel. 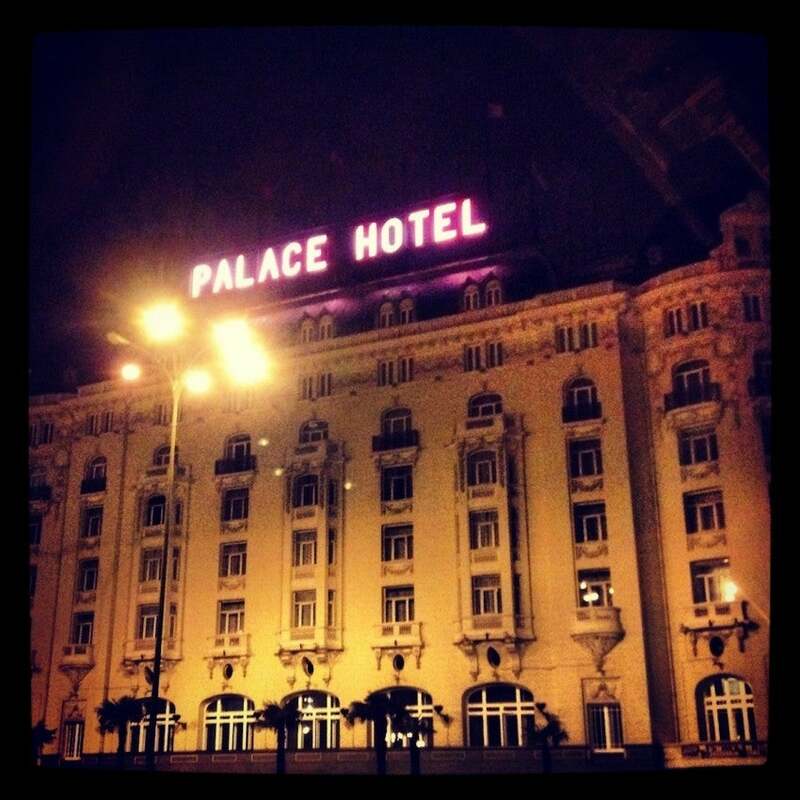 I love the Palace’s classic lobby. 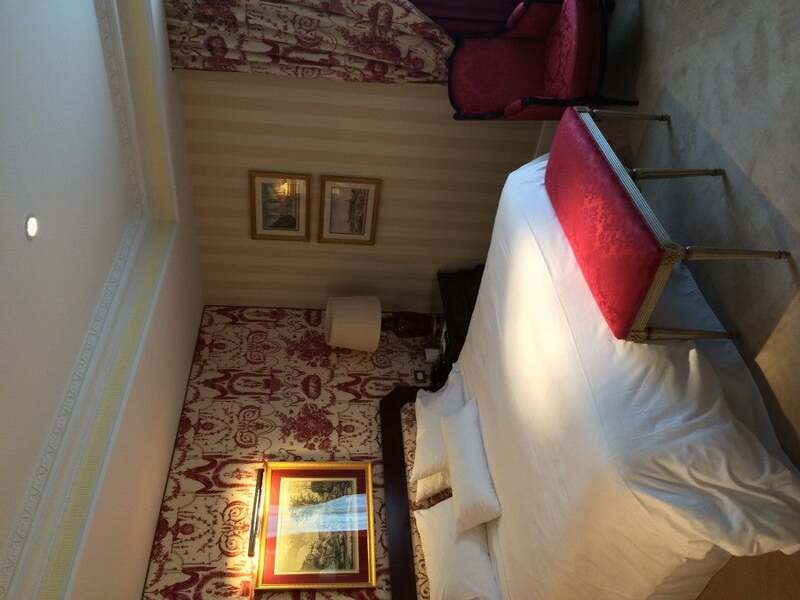 So instead of the standard room I booked, I actually scored a Junior Suite – which goes for 200 euros more per night than a standard room – and it was confirmed at the maximum 5 days out from arrival, so I was all set. The hotel has 467 guest rooms and suites located on 6 floors with the top one being the Starwood Preferred Guest Floor. I’ve stayed in Junior Suites at this hotel before and they’re a lot nicer than typical junior suites which are just one big room with a good view and an only partially separate living room and bedroom. The one I got this time actually had a marble foyer, a whole separate parlor with its own walk-in closet, a full bathroom in the master bedroom and a half-bath/powder room for guests in the living room. The living room itself had a small sofa, an armchair, a coffee table, two lamps and a chandelier and large window letting in the light. This time my suite had a truly separate parlor. The bedroom had a king bed in white-on-white linens with a little bench at the end of it, its own flatscreen TV and an armchair. I really love the classic feel of the room – this definitely isn’t your typical Westin, despite the white ginger scent! The bedroom of my Junior Suite. As usual, my bathroom was all-marble with two vanities and a bathtub-shower combo stocked with Westin’s Heavenly Bath products, which I personally find to be way too fragranced with the White Ginger scent. One of my Platinum elite benefits is daily breakfast – and here’s a quick Starwood tip for you: award reservations default to a setting that reserves them for one guest, the one whose SPG points you’re using. If that happens, then the property seems to only register you for one free breakfast per room, so if you’re with someone, be sure that your reservation has two people on it, or even if you’re not and you have friends coming over to visit, you can put two people on the reservation and treat them to breakfast! That’s especially valuable in a property like this where breakfast in the Opera restaurant with its famous glass dome can easily run 30 euros per person or more. 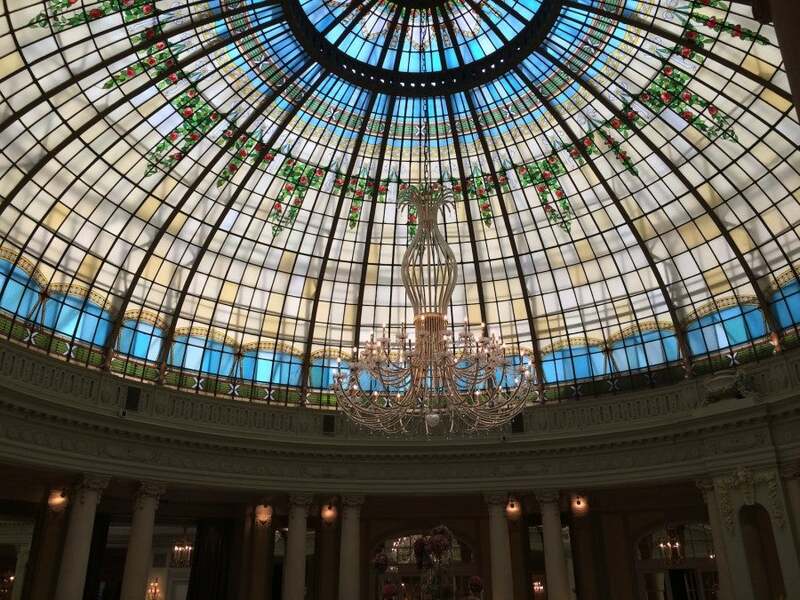 I love having breakfast under the Westin’s glass cupola. Especially at a property like this one that’s popular thanks to its central location and reasonable (for Europe) room rates, it’s important to leverage those SPG Platinum benefits to squeeze every last bit of value from your stay. Speaking of Platinum benefits – one that I was not able to enjoy this time was the YOUR24 benefit that 75-night Platinum elites (like I am) get, which allows you to check in any time you want and check out 24 hours later. For example, if your flight arrives at 6:00 am like mine did, you can confirm that arrival time and check out at 1am the next day, as long as you confirm it within 48 hours. This benefit is based on availability and will be managed online and through the Platinum line. Well, I submitted my YOUR24 request as soon as I made my reservation a couple weeks in advance of my stay, and didn’t hear anything back. I called my SPG Ambassador (a 100-night elite benefit) and she told me point-blank that the hotel had lost the request and that nothing was available. No apology, no attempt to contact the hotel and plead my case. Nothing. That’s why I tell people the YOUR24 benefit is more like 50/50 because I haven’t had great luck with it in the past. The good news is, when I arrived, the desk agent let me know that they would have my suite ready by 9:00 am, so I just had to pop around the corner to Starbucks for a coffee and some free WiFi to work on for about an hour and I could go back to the hotel and get into my room. It could have been worse. 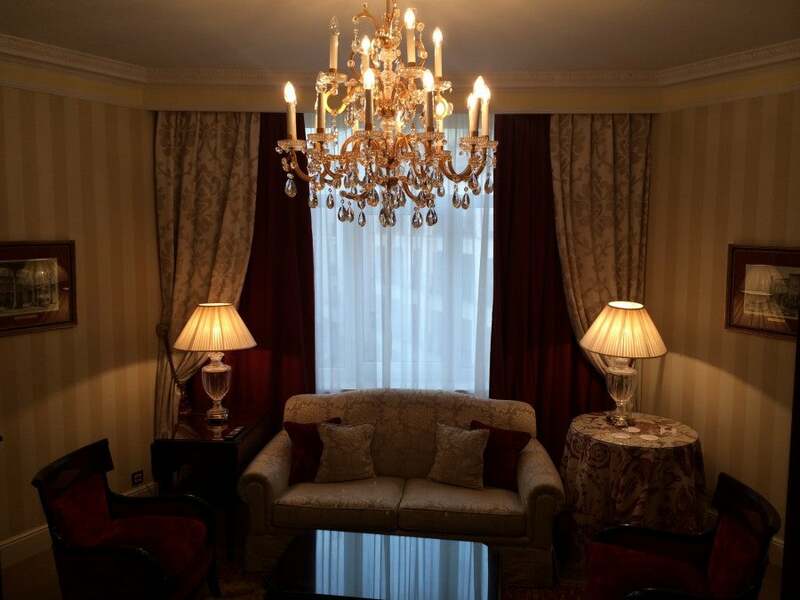 Despite the check-in hassles, I had another great stay at one of my favorite Madrid hotels, and it was a good use of points and suite night upgrades. What with the great location, the ability to use my points on a regular basis, a charming historic aesthetic, delicious restaurant and friendly staff, I’ll definitely be back!